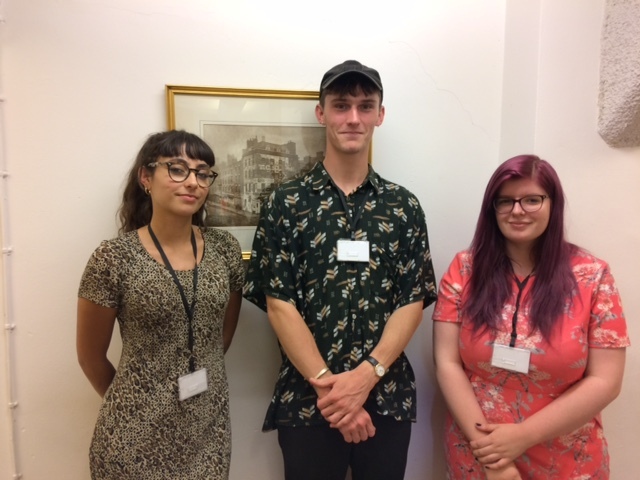 Between June and July this year, seven students from the University of Bristol joined us as interns at Bristol Archives. They worked on different parts of the British Empire and Commonwealth Collections, helping to increase access to these incredible resources. Here three of them – Hattie, India, and Freddie – tell us a bit more about what they got up to. For the past four weeks I have been an intern at Bristol Archives, working on the oral history section of the British Empire and Commonwealth Collection. 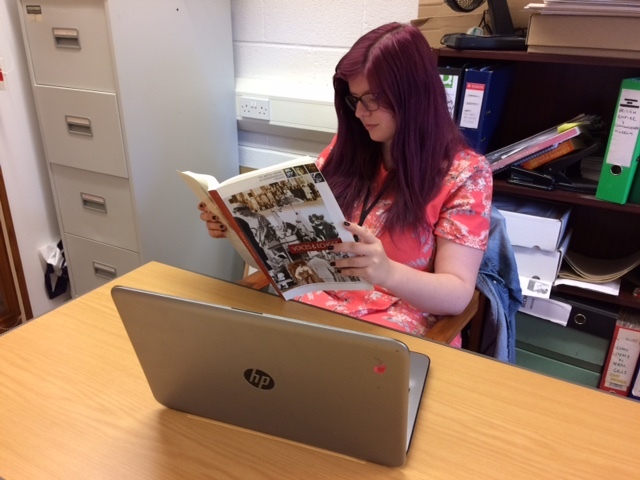 I initially thought that my background as an archaeology and anthropology student rather than a history student may be detrimental, but I found many similarities between the use of interviews and primary sources in my subject, and the use of these in oral history and archive work. At the beginning of my internship, I had the opportunity to attend and help out at a conference on the oral history of the BEC collection entitled ‘Voices of Empire and Decolonisation’, held at the University of Bristol and run by the historian Grace Huxford. At the Archives, my work involved sorting through records, documents and a large database to prepare the records to be digitised as part of the forthcoming Unlocking our Sound Heritage project. When the digitisation is complete, the recordings held here will be available for researchers such as those who spoke at the conference. While much of my work has been going through paperwork, it has required some substantial and interesting detective work, and I have had the opportunity to read through many of the interviews not yet available to the public. The interview transcripts that I have been able to read have been fascinating, and have encouraged me to try and travel more, as well as to learn more about some of the people and events referenced that I was not familiar with. In particular I was inspired by the memories of many incredible women who travelled across the world, often alone or in dangerous circumstances, to become engineers, pilots and doctors in a time when this was generally considered unacceptable for them. I have thoroughly enjoyed my time here and would happily return to archive work in the future, and I look forward to listening to some of the recordings held here when they become available. My internship within the BECC film archives has definitely been a valuable opportunity to expand on my previous film archive experience, as well as helping my future graduate prospects. I catalogued a variety of film collections, and the themes involved were relevant to my interest in further postgraduate study in documentary and visual anthropology. The BECC placement has drawn on my previous work placement with the Royal Anthropological Institute, where I assisted their film officer. 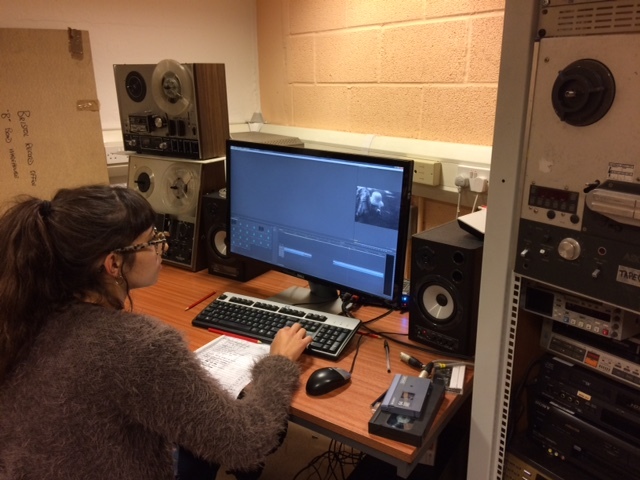 This time I gained comprehensive knowledge of how a physical film archive is organised and maintained, and some of the issues involved as opposed to working on a solely digital collection. Through engaging with physical film I have established an interest in working within film exhibition and programming, and have been given the task of cutting a film for the Watershed’s Cinema Rediscovered Festival, which I shall be volunteering at. 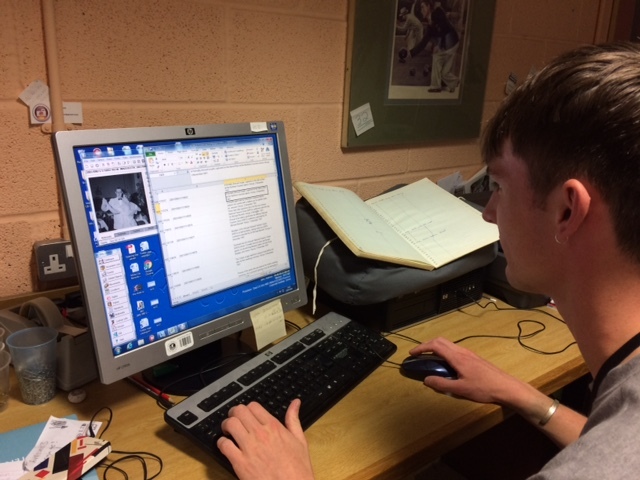 The BECC photographic internship has proved to be a thoroughly engaging experience, enabling me to have uninhibited and virtually unprecedented access to a fascinating collection of photographs. Working on the Trotter collection has allowed me to extend my interests in both Britain’s colonial era and photography, whilst educating me extensively about the occupation of East Africa. It also exposed me to photographic content that ranged from the ordinary and mundane to the outright indignant, confounding and eccentric. Aside from how revealing the collection itself was, the handling, studying, and cataloguing of the photos has unquestionably been a helpful addition to my degree. It has helped to diversify my skill-set, developing more practical abilities in archival processes which will definitely be of use in future museum or archive contexts. Combining these skills with my degree will surely be an aid to my intended pursuit of an MA in visual anthropology. This is a discipline where archival footage and photography is always of interest and it is as heavily indebted to colonial endeavours as it is critical of them. The BECC staff are always interested to hear from potential new volunteers. Contact us to find out if we have any opportunities which might fit your interests.